It’s been a great year. Here’s a few highlights. I spent the month in Canada with Marc-Andre Leclerc and Brette Harrington. We made the FWA of Navigator Wall on Mt. Slesse, then skied wow-pow and swung onto ‘danglers’ in the Rockies. It was a special time. Marc-Andre Leclerc on Navigator Wall, Mt. Slesse. A memorable experience. I spent a few days climbing with Ben Silvestre in Scotland. We made the second ascent of Creme de Violette (IX, 9), and then climbed The God Delusion (IX, 9). I also took part in the return leg of the UK/Slovenian exchange. The Slovenian choss is still choss, even in winter. Ben Silvestre soloing out of Sticil Face (V, 5), Shelterstone, Caringorms. I travelled to Alaska with Uisdean Hawthorn. We made an attempt at the unclimbed north face of Mt. Jezebel (2880m), in the Revelations Range, but bailed from one-third height. It was quite a ‘mental’ experience. Uisdean seconding a ‘don’t fall off’ pitch of steep nevé on our north face attempt. 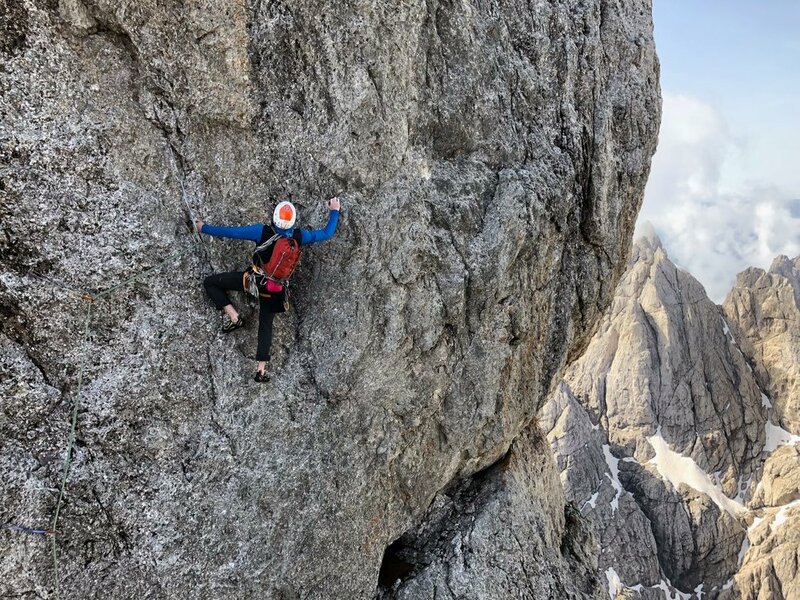 I travelled to the Dolomites with the Slovenian alpine group, and then to Slovenia, to climb with good friends, including Luka Stražar and Aleš Česen. The limestone mountain choss means you have to concentrate! Vic came out to Slovenia for a week’s holiday. We cruised around this small but unique country, and enjoyed great company. The mountain lakes weren’t that cold! 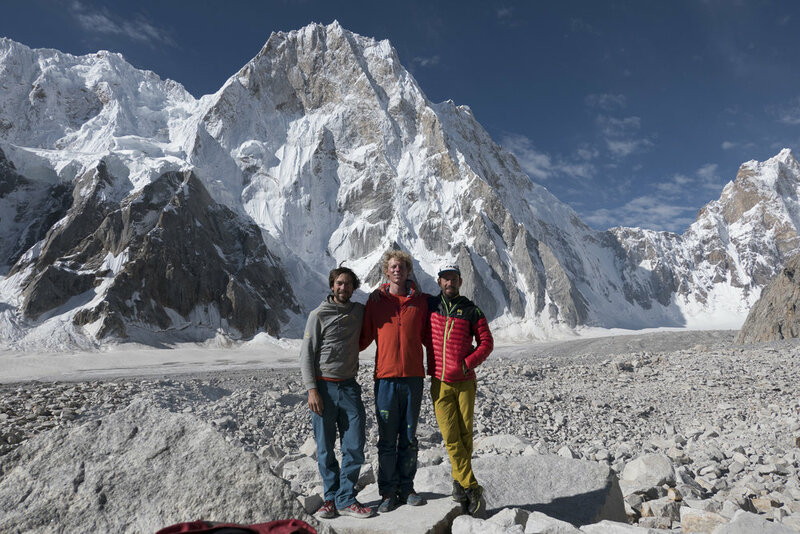 I went to the Karakoram (Pakistan), with Aleš and Luka. 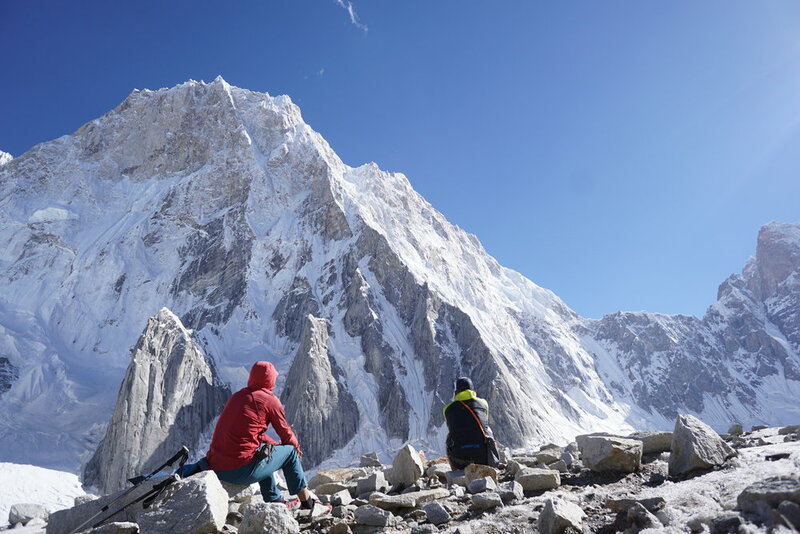 We set up our base camp on the Choktoi glacier in mid July, and started acclimatising. The high-altitude headaches were memorable. Ales and Luka scope out the North Ridge of Latok I.
Luka, Aleš and I got lucky, and climbed the North Ridge Variation on Latok I (7145m). It was a brilliant adventure. Three weeks after Pakistan, I travelled to Jammu & Kashmir (India) with Uisdean and Will Sim. The Indians struggled with Uisdean’s name, so we called him, ‘Steve.’ It was cool to travel through such a diverse country, and the curries were probably even better than Pakistan. After very bad weather in India, we decided to bail from the mountains and come home early. Next time! I hung out at Swanage for a few days, getting very pumped, very quickly! Our base camp in India, a few days after the snowfall. Not ideal! Vic and I went to Paris, I remembered how much fun it is to solo on grit, and, in preparation for winter, I went dry tooling. Ben Silvestre experiences the unique world of dry tooling at Mannod, North Wales. I travelled to the Bozeman Ice Fest (USA) for a week’s ice climbing, some coaching sessions and a talk. It was great to share the American’s enthusiasm and good weather.